7 Minute Motion Tracking Workout Now Available! – Zombies, Run! 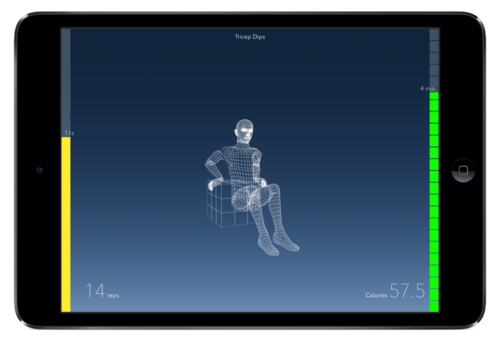 7 Minute Motion Tracking Workout Now Available! Even the Winter of Workouts. That’s right, I’m afraid to say that today is the final day in our “Winter of Workouts” celebration. But we’re not fading away like the sober person at a party when the clock strikes “boogie”. No! We’re going out with a bang. 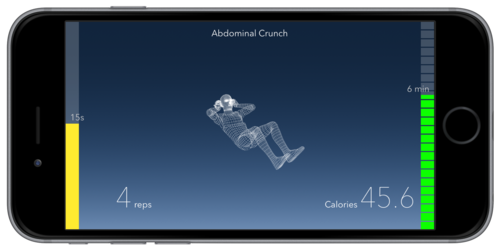 A bang that looks, sounds and acts very much like the best goddamn home workout app you’ve ever seen: “7 Minute Motion Tracking Workout”. Automatic Rep Tracking – No more need to enter your workouts into fiddly tracking apps. No more need for a spotter. No more need to teach your pets how to count or how to recognise correct form for a Power Squat. We got you. We’ll count all your reps and calculate your calories as well, using our innovative front-camera motion tracking technology. Try getting a budgie to do that. 12 Workout Routines – A good workout is like a good meal: varied, well-thought through and guaranteed to leave you sweating. We’ve got a full-blown Michelin Star menu of them right here for you. 12 energetic, exciting workouts, including the classic ‘7 Minute Workout’. No more boredom! Achievements – This app isn’t just going to give you poxy “real life achievements” like “building strength” and “improving cardiovascular function” and “feeling better about yourself, your body and your life”. Hell no. We’ll do all those things and we’ll give you shiny digital medals for them so you can show everyone in your life just how much you’re killing it. Which is so much. TV – We know how it is. You’re working out, concentrating on your form and your motivation and not knocking your living room lamp over. You want your instructions, your rep count and your timers where you can see them: right there on your very own television. Yet again, we’ve got you covered. 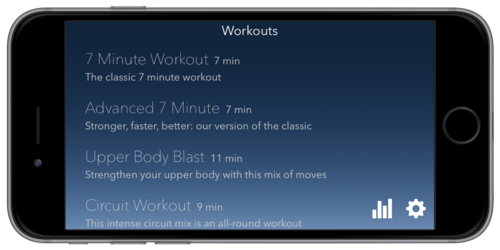 7 Minute Motion Tracking Workout is optimised for Apple TV, so you can bring your home workout to the big screen. I don’t need to sell you on this anymore. This app is awesome, we’re incredibly proud of it, and it’s going to supercharge your home workouts like you wouldn’t believe. Next Post Happy Holidays from Zombies, Run!